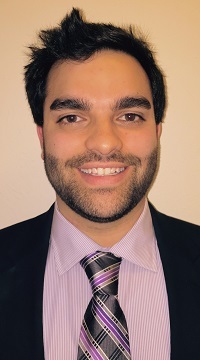 ARI LOIBEN | Lewis & Ellis Inc.
Ari Loiben joined Lewis & Ellis in 2009 while finishing his graduate work in statistics at Southern Methodist University. Ari has been involved in all areas of data analysis, including the firm’s health practice. Recently, Ari has performed various statistical analyses involving sampling and extrapolation, confidence interval and sample size estimation, predictive modeling, forecasting and simulation. In addition, he can take on other consulting opportunities in the areas of time-series analysis, experimental design & analysis, linear, non-linear & logistic regression, spatial statistical modeling, and statistical inference. While at New Mexico State University, Ari played outfield on the baseball team and tutored other athletes to strengthen his ability to communicate mathematics and statistics to a non-technical audience. One of Ari’s greatest strengths is his ability to communicate technical and complex concepts in a clear and straightforward manner to his clients. Ari holds a bachelor’s degree in Mathematics from New Mexico State University and a master’s degree in Statistics from Southern Methodist University.